Quotations about Attention Seeker. Quotes to stimulate mind and drive action! Use the words and quote images to feed your brain inspiring things daily! I have always been the first on the dance floor. 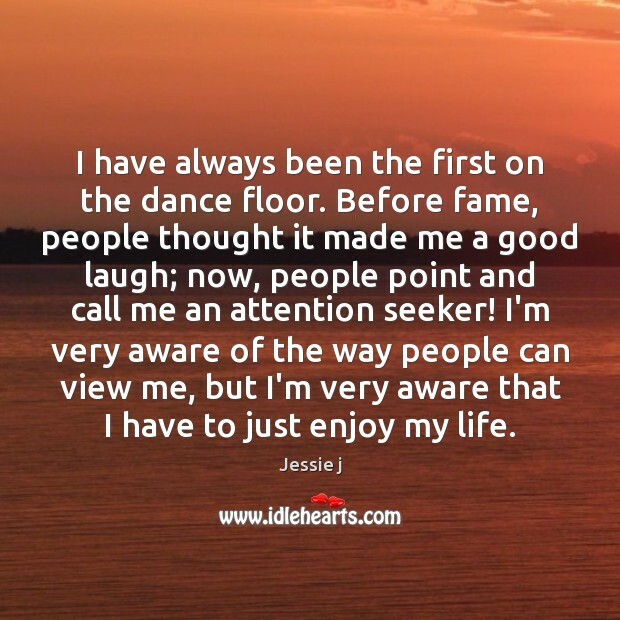 Before fame, people thought it made me a good laugh; now, people point and call me an attention seeker! I'm very aware of the way people can view me, but I'm very aware that I have to just enjoy my life.